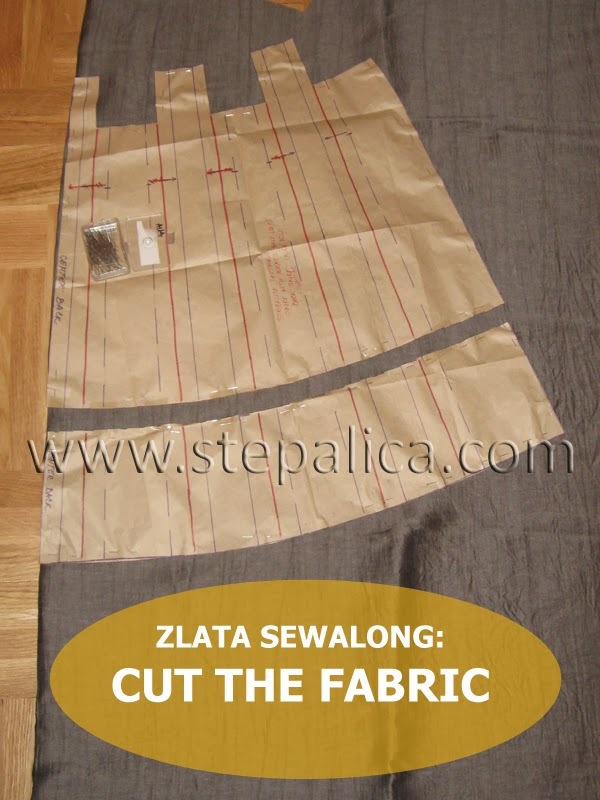 It's time to cut a fabric for the Zlata skirt. 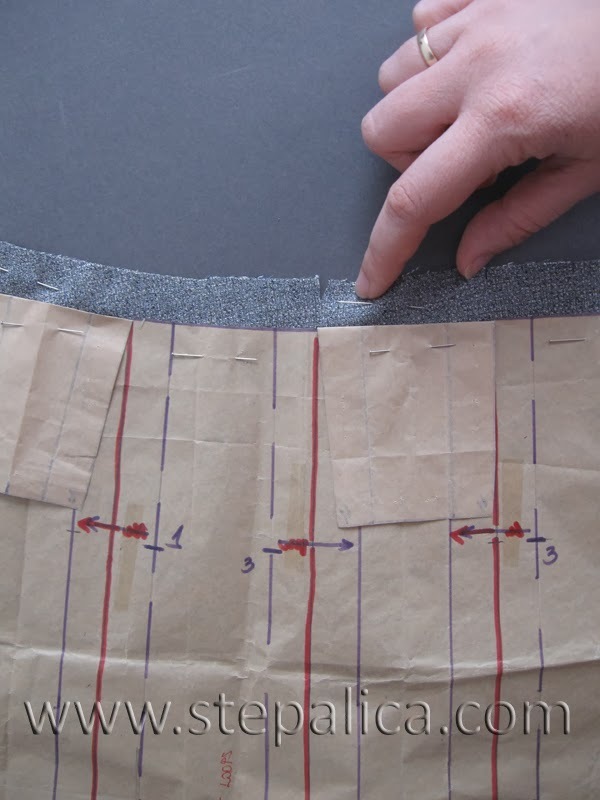 Depending on the variation you're sewing, follow a corresponding cutting layout from the instructions document, which will save your fabric and use in in an optimal way. If you're sewing the View B, cut the skirt panels A and D along the border line. 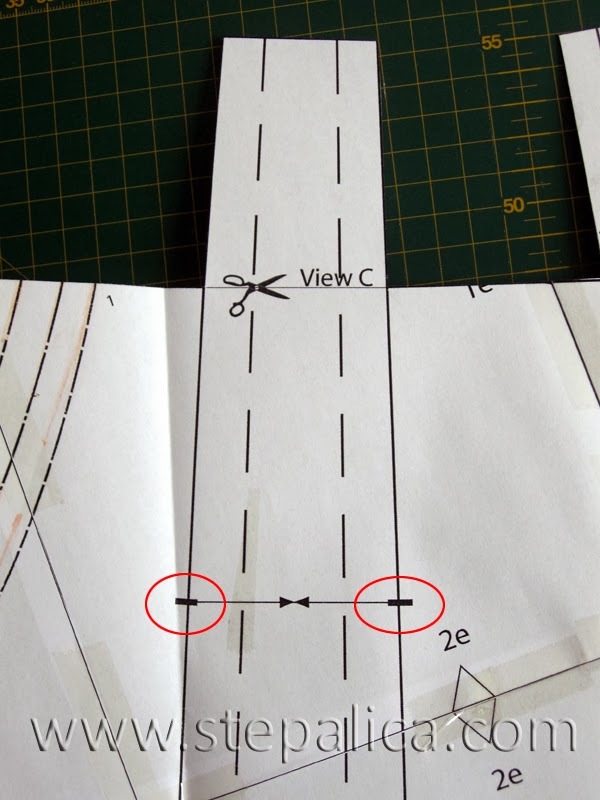 If you're sewing the View C, fold (there's no need to cut) the belt loops along the marked lines. You need to transfer the contours of the pattern pieces to the fabric, as well as the full lines that represent the pleat folds. 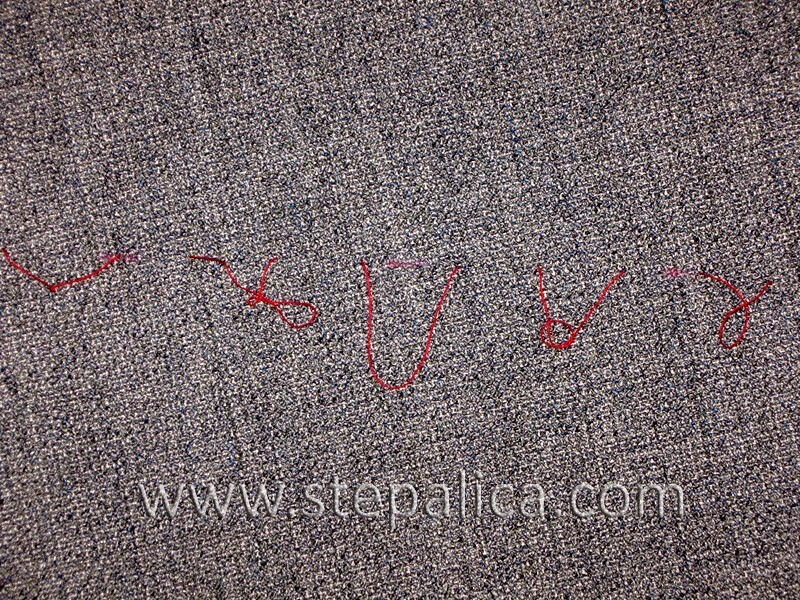 Also, transfer the pleat stitch notches (rounded in red line). Optionally, transfer the dashed pleats' fold lines. 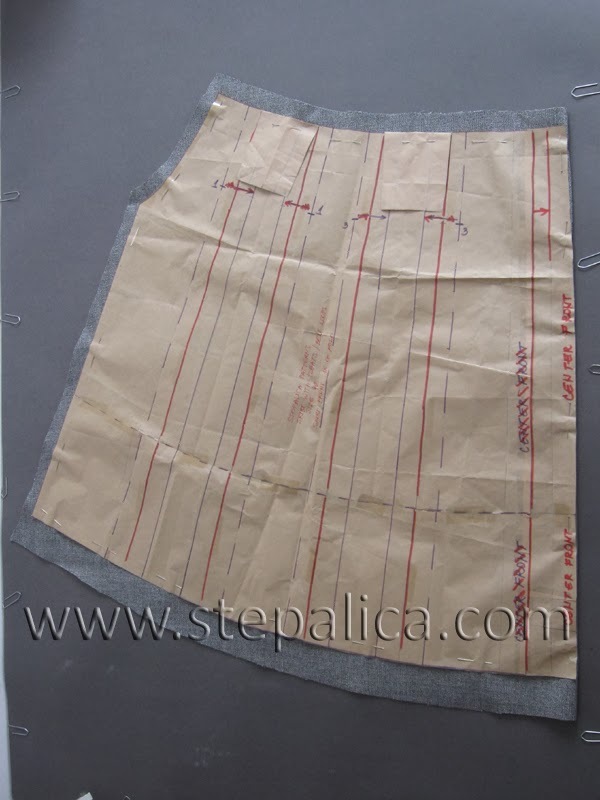 If you're making views A or B, make a precise marks on the fabric that represent the angles that belt loops form with the top of the skirt panels. 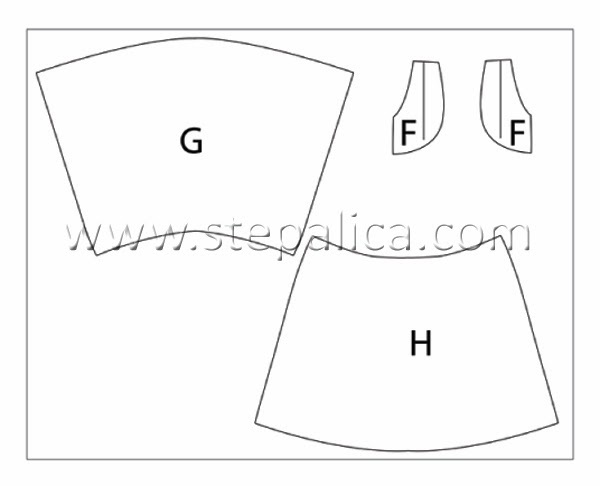 Don't forget Stepalica Patterns don't have seam allowances, so you need to add them before cutting the fabric. 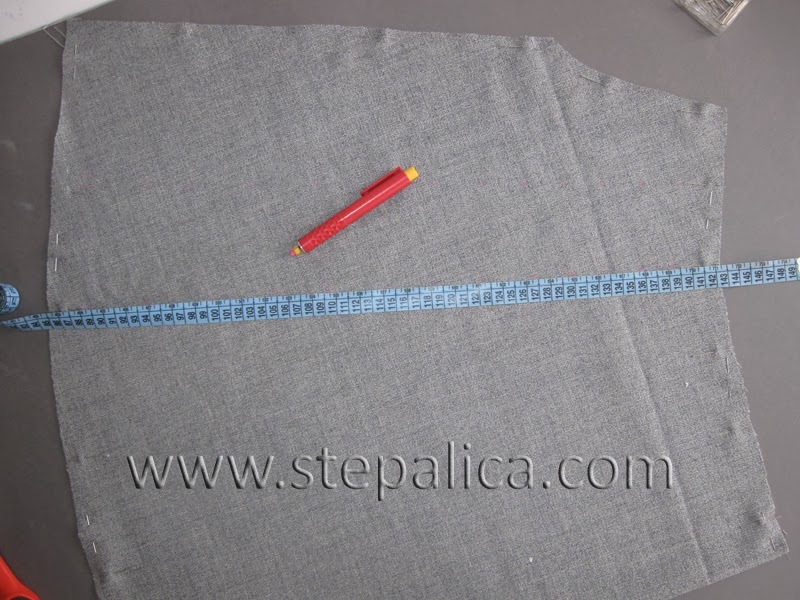 I suggest adding 1 - 1.5 cm wide SAs along the side seams and 2 - 2.5 cm wide hem allowances. I'll also show you the technique I used for marking the pleat fold lines, using the loose basting, which transfers the marks symmetrically to both layers of fabric (that is, if the fabric is cut on fold). Note that this is not the fastest method to use. So, I folded the fabric width wise and cut the front and back skirt panels on fold. I added the required SAs. 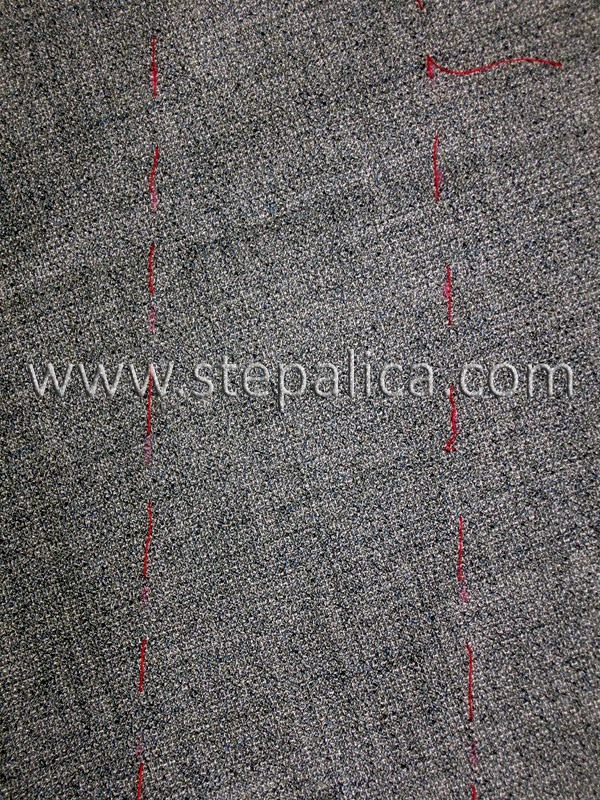 Along top and bottom edges of the fabric I made small cuts on the spots where the pleat folds starts and ends were. 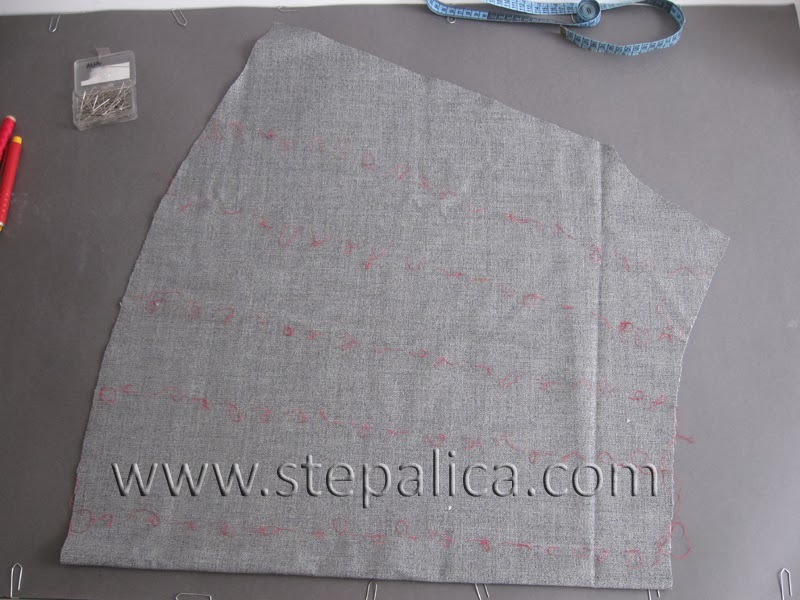 Then I removed the paper pattern from the fabric and marked with chalk the pleat fold lines, by connecting the corresponding cuts on top and bottom of the panels. Using the loose basting stitch and thread in a contrasting color, I basted through both layers of fabric, following the previously marked lines. 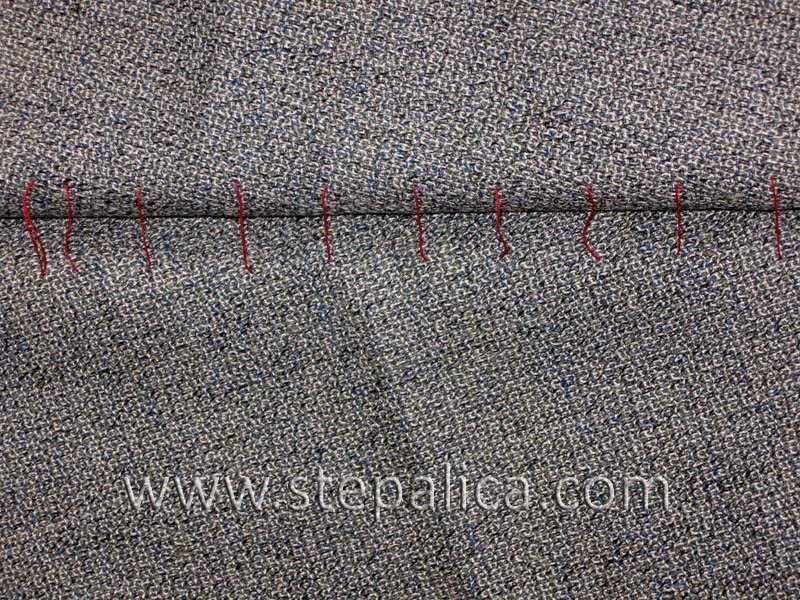 Once all the pleat fold lines were basted I slowly and gently opened the fabric and cut the basting thread that peaked between the two layers. As a result I got symmetrically marked plead fold lines; the marks can be easily removed by pulling the thread from the fabric. 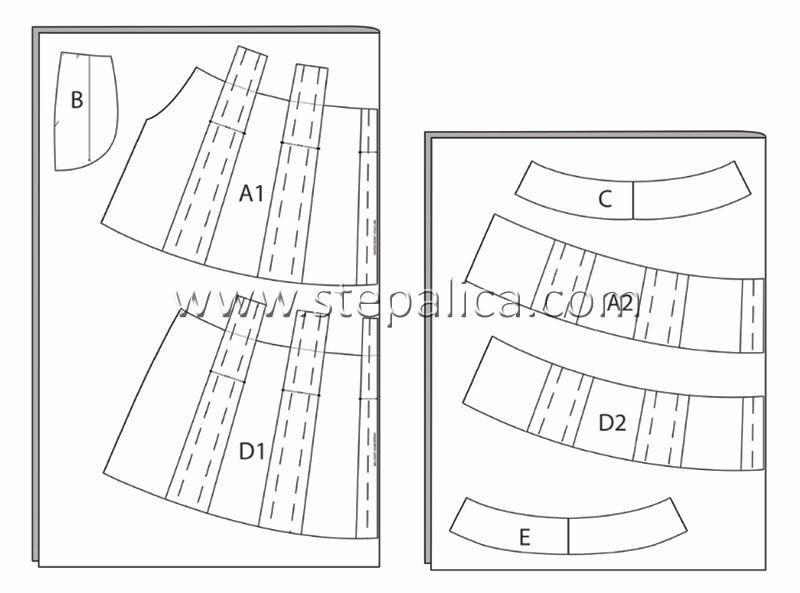 We'll start sewing on Monday - I'll show you how to make the belt loops for the views A and B.